It is not so long ago that an angel made a short visit to the Earth to pleasurize mankind with a soothing voice. Although his visit lasted for a very short period of time, his progress in the field of singing was equally swift for he had a significant love for music.The glorious success he achieved in very short period was unachievable by any ordinary singing talent because his success were measured in people’s hearts, more than awards and trophies. His Godhood was visible not only by his sonorous voice, but also his character and never-proud-attitude that reflected the Goodness he had within him. I describe his voice as ‘an incomparably delightful, fragile and soothing sound that would revitalize the surrounding like nature would vow down upon him with pleasure‘, such a magician he was. His voice changed the whole complexion and beauty of music and added a flavor of distinct pleasure in all his songs. His enjoyable attitude while singing reflected his undeniable passion he had in music, where he worked out his artistic ability to smoothen and present it in his own style, which struck the hearts of many. His songs still reincarnates his existence bringing people from any class, culture, religion to unify as victims of his heavenly voice. Music is fathomless and so is the fragrance of his voice. It seems as if his early death has remained as one of those forgetful sin of god. Even his birth onto this earth went on to be like an achievement of god to all Rafians. In his times, no other singer could ever compete and earn enough respect like he did within his period of ‘Rafi era’ (1924-1980). With his commanding superiority throughout his lifetime, his voice gave color to music and brought a touchy feeling to all his listeners such that every time his song floated in the air,it would be shockingly surprising not to see people indisputably driven by his influence. Like a sound of a Cuckoo emerging out in a dark and dense forest, bringing a sense of intense pleasure, he emerged out as a singing God in his days. Although he got relatively low credit than he deserved (due to his profession that would not be well noticed like today due to which he wanted to act in films, but it didn’t go well like he wished ), even he didn’t knew how much of magic he had in his voice such that he was able to find a place in people’s hearts (which was much tougher than today), but he did it with grace and simplicity. He although couldn’t be a good actor himself as he wished, but he did produce such voice that turned many early actors into stars and then into superstars in Indian film industry. He is still an influence for many brilliant singers of today. He has although returned into his original God-state, the flower of music he presented to all Rafians that he embellished with fragrance shall hardly get withered for a very long time. It would not be appropriate in any case not to thank his parents in every aspect who deserve due regards from inner core of our hearts from all we Rafians. We are all blessed if to have lived his days of his era and felt the enlightenment he brought in music with his voice that would even make it undeniable to give him the title of god’s incarnation to the earth. He will ever be remembered in his every gift he has left for us, however, there is no doubt to say that a special day marked in the calender on December the 24th every year, on which this great person will be remembered as someone ‘greater than man’ was born and had lived and shared his blessings among all of us who are enlightened as “Rafians”. This entry was posted on Sunday, February 17th, 2013 at 3:39 pm	and is filed under Meri Awaaz Suno. You can follow any responses to this entry through the RSS 2.0 feed. You can leave a response, or trackback from your own site. Wow what an inspiring article. Truely appreciated. Looking forward for your next article. Keep up the good work sir. Excellent article about the wonderful person!!!! I am really happy to read your views on your article “A Short Visit to the Earth” where you have expressed your experiences, views and thoughts about the great singer Md. Rafi. I am also impressed to know that you’ve know Rafi from your inner heart. We all know that you are an amazing singer from your side but I had never noticed that you are a great writer too. Please keep it up, good luck. article an imaginative piece of me is appended here. places but remains same at a few areas. songs are here to stay. Ok bye said the soul and disappeared. Mahesh ji, a great article and yes unfortunately the legends visit on this earth was cut too short for most peoples liking. However, his songs even after so many years continue play in the background in many restuarants, shops, homes and work places and will continue to do so for many years to come as no one can touch the hearts and minds of so many people as the great Mohd Rafi did and that’s why when the great man passed away even though it was raining the turn out for his funeral was truly amazing. Very nice article with great imagination. Thanks a ton for writing such a nice article and sharing with us. A fitting and heart touching obituary of a legendary singer of all time. You gave very sweet article about such great singer .His voice is really heart touching and provide musical pleasure to all of us . It give me immense pleasure to read this article about such a great singer and recording artist who is considered by many to be one of the greatest Indian playback singers of the Hindi film industry. You gave very sweet expression to such a great singer, who had really hearttouching voice in Melodious and romantic songs both. He himself was great in the musical world. He had a naturally emerged talent. When he sang all the listeners were “mantramugda”. He came here to give give musical pleasure for all the people for very short period of thime and passed away. He was an angel and a great soul. I always remember his smiling face with smart peronality. You have enhanced his glory very high as a Good fan. “God is invisible nobody see god but we can feel god in music songs and nature”. A beautiful, well written article on the best singer ever – Thanks! Please can I urge all mohd rafi fans to give him your vote by giving a missed call on 0808 2807871 as a poll is being conducted on the best singer ever. Why they conduct polls like this is a mystery to me because the facts are clear for most to see and I’m not sure how fairly this is done but if popularity, versatility is anything to go by mohd rafi is head and shoulders above every one else. Personally I find any comparisons made to mohd rafi a real insult to mohd rafi as in my eyes there is no comparison. He is the legend of all legends and simply the best singer this world will ever have!!!!!!!!!!!!! VERY THANKS OF YOUR VIEW ABOUT THE IMMORTAL SINGER OF THE WORLD. Dear Mahesh, you have written so much about my dear singer Rafi that I must congratulate you and appreciate all words which you have used to describe Rafi jee. Thank. very well written, and so true that he was an angel! 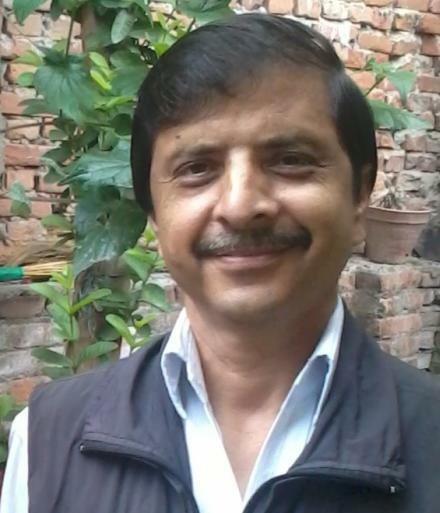 Please cast vote to Rafi Sahib on “TRUE MASTER” Website. It would be a great tribute for Rafi Sahib on our behalves. Rafi deserves World rank first. At this time Rafi stand 8th in the world of singers. Please donot forget to cast vote daily or after every one hour, if we have a spare some time for rafi sahib. I congratulation to all Rafi fans who express his views on Rafi Sahib greatest personality. A devine voice and a great great singer hamara RAFI SAAB. Thanks a million Maheshji for this beautiful write-up on Rafi Saab. Myself being an ardent fan of Rafi Saab for many many years and who will continue to be one is of the opinion that Rafi Saab was God sent Messenger on this earth. Besides being a great singer, a truly humble, simple, honest and charitable human being. Long live Rafi Saab’s divine voice. Well said and i Strongly agree with your views on Rafi Saheb. according to me Rafi Saheb is a Avataar with God”s Own Voice. Your few words on the legend Mohammed Rafi Sahab is like a bhagwanjis prasad, great feelings you have on The great Rafi Sahab and it is true. Please logon face book mohammed siddique,or web musicmakerskol.webs.com for the tribute show on Mohammed Rafi Sahab on 28th December,2012 at Kala Mandir Kolkata along with some good permformers. BHULEGA DIL JIS DIN TUMHE WO DIN JINDGIKA AAKHARI DIN HOGA.Maheshprasadji thanks for a fantastic article.Thanks once again. Very good article, coming straight from the heart. Yes, Rafi saab came for a short visit to this earth as God’s own missionary. God has blessed us with so many wonderful things in life. One day he decided to go an extra mile and let this humanity listen to ‘his’ voice. So he sent his missionary to earth for a short visit. And in that visit this missionary mesmerized us with that Godly voice. And ‘Mesmerize’ would be an understatement for this giant singer. His voice delighted us, motivated us, consoled us, melted us and what not. After that brief stay God called him back. He too needed him. Bahut Acccha acchaha laga. Rafi Sahab ab bhi hamare hi karib hai kionki har subha hum unse hi khate hain ghumte hain sote hain. unke hi geet gungunate hue. Thanks alot Mahesh ji for the nice Article. biased awards they might have wrenched fron an unfair and corrupt system. Rafi Saab is simply the only one. dear mahesh ji, Bahot khub. Bhai Mazaa aa gaya, aur bhot achha laga. Marvellous article. Carry on, God Bless You. Jai Rafi Saab, rafidev zindabaad. I fully agree with Mr. Bhumesh Sharma that Rafi Saab did not get less credit comparatively since what place he has richly earned in the hearts of the masses no other singer has ever earned it on this planet. He was an angel and others are human beings. He had passion for music and not after money or fame. no singer is comparable to our beloved Rafi Saab. thanks to Mr. Bhumesh Ji. Very nicely written article. A good tribute to a true legend. please register my disagreement with one of the lines which states “he got relatively low credit”, I must add that the credit Rafi sahab got is incomparabel, it is easy to forget screen heroes like dilip kr shammi kpr, rjndrs kr and many more but Rafi Sahab comes alive everyday reenerzises the life everyday and reminds us that life can be full of joy everyday and thus is indeed unforgettable.He got an everlasting credit. There are no words to describe about the angel God. Sorry for missing the ever green. very very thanks for this nice article. through the article, you described rafi saheb as angel who was sent to earth to entertain us through his melodious voice. really rafi saheb is a god gift to us all the rafians. there is a telling that good people will not stay this earth for long and all of them will be called back by god before completing their mission in the earth. I think rafi saheb was also one of them. rafi saheb departed from us all, but he is still alive in our hearts and he will never die. maheshji you are a true worshiper of rafi saheb. i salute you. Dear Mr Mahesh, a big “Thank You” and god bless you. We are yet to find one similar to rafi saab after three decades. will anyone emerge ? 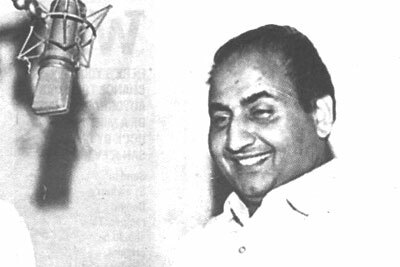 mohd rafi saaheb lives throuh his songs and his personality – even today. the life he led has become part of folklore. there are legion of fans in all corners of the world just like that keralite – found in the remotest part of the continent. incidentally, kerala & bengal has the highest number of mohd rafi lovers followed by gujarat, punjab and other states. mohd rafi is born just once and people like mahesh will come every decade to sing and re-live the songs of the godly singer. nice thinking mahesh prasad ji. it’s indeed a great output. Great narration for Rafi Saheb.How long we have to wait a versatile singer like him.A true Indian and gentlemen ever Indian Cinema produced. dear mahesh ji thank you very much for writing so well on our dear rafi saab. No doubt rafi saab was an angle who tought us the lesson of humanity, kindness, softness and harmony besides his singing talent rafi saab had the great qualities found only in god. Rafi saab’s voice and singing talent was unmatched. Long live rafi saab. Thanks a lot Dear Mahesh ji for describing our beloved Rafi Saab. Congrats for detailed descripton/capability of most loveable, genious, gentle, cultured and and as soft and sobre person like a saint. it won’t be an exaggeration if we say he was an angel. i salute to you also. it is alwaya very pleasing to read about Rafi Sahab. Thanks. Rafi lives thru the guys like you. You are a true fan of Rafi sahab.